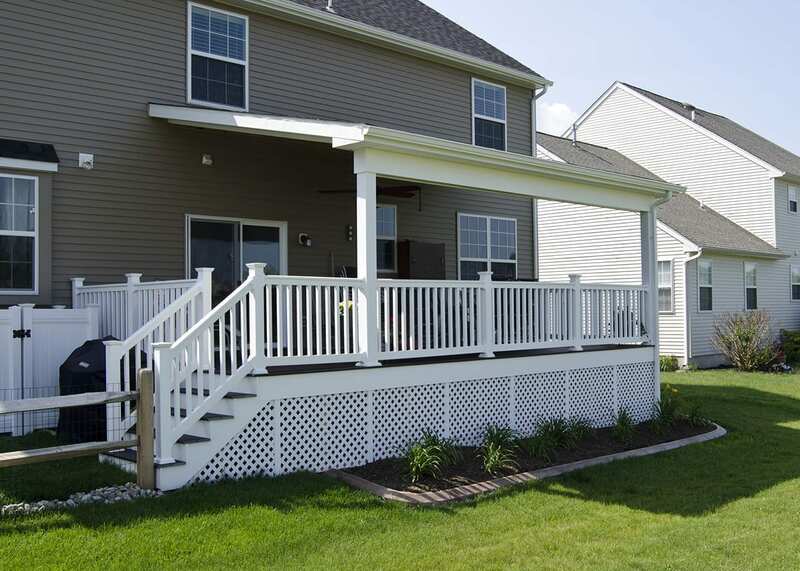 This space was constructed using Trex Woodland Brown decking with white vinyl railings. The space also features a open style porch with an unfinished ceiling. To give the space a more completed look, white lattice was installed under the deck. This space was finished in the early months of 2015.